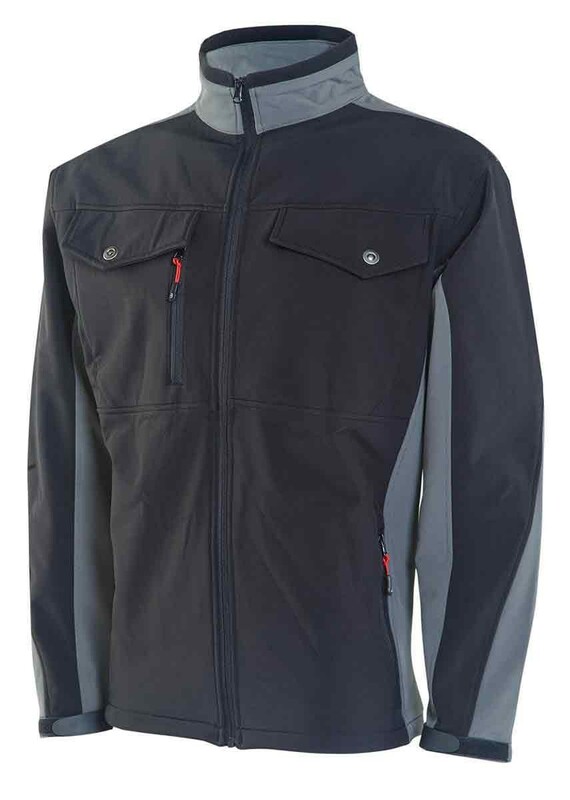 A high stretch water resistant windproof and breathable fabric. It has a fleece lined with internal pockets and weatherguard front flaps along with two zipped front hip pockets and two top breast pockets - one zipped. It has adjustable cuffs and a warm lined collar. It also has a hip drawcord.